Last night did not go as well as I’d thought. Though I left somewhat earlier than Emylee and Moriah, I still couldn’t sleep and end up finally falling asleep around two in the morning. Three hours later we were disoriented zombies using the bathroom light to pack our stuff up. Half-coherent and lazy, we took a cabbie to the airport. The flight took off at 8:10 a.m. and I easily took advantage of the hour-long duration sleeping for however long I could. Swiftly and efficiently, we came down the RyanAir steps to Dublin ground and we’re in and out of the airport itself. The taxi line was short so we had one ready for our disposal. Immediately we went on to Connelly Train Station, then waited in the station cafe until the 11:20 a.m. ride to Belfast. In a little over two hours, we were in the Northern Irish city. But for what we were seeing, one more train was we had to take. In another ten minutes, the train on platform 3 to Victoria’s Street came and we jumped off the first stop at Botanic. This hostel we chose to stay at–Lagan Backpackers–I think was my favorite throughout the entire trip. It was very roomy, comfortable, well-accommodated, yet had a laissez-faire air about it. By appearance, to most, it wouldn’t seem like much, but I’ve never felt as much at ease in the other hostels. Keep in mind, I’ve been in Lagan Backpackers for a handful of hours and I’d already made my decision. After some slight recuperating, we picked a rib joint. I ate a spicy-as-hell hotdog and a Caesar salad. After the checks were paid, we made a pit stop to a convenience store for some snacks and international stamps (through Northern Ireland). We decided to head in for the night, so while Emylee and Moriah watched a movie or two, I nodded off while watching some Netflix myself. I woke up about four hours later around 9:30 p.m.
Won’t be long before I pass out again, so Sláinte from Northern Ireland! The morning was a bit slow for us but eventually, we went to the station to get back on the train that went to Victoria Street. Only instead of getting off there, we got off at Titanic Quarter for the namesake’s museum. 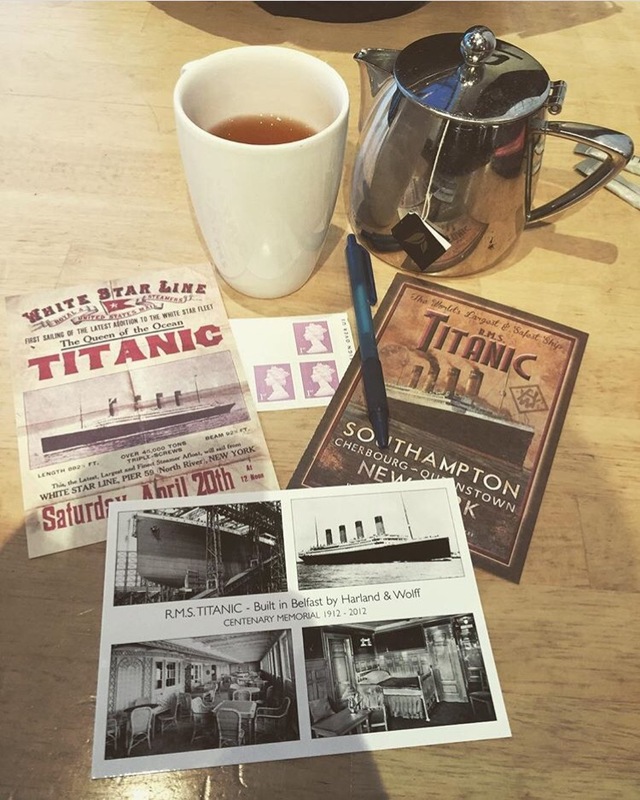 Yes, we headed to the Titanic Museum; the place where the gigantic ship was built along with her sisters, Britannic and Olympic. The center of the “ship” was floor after floor of translucent windows and on each side of her had an off-white, harsh-lined wing with a metallic pattern; it shined like a water’s reflection seen with light. The architecture of the museum looked like the tragic ship slicing through the iceberg that brought her twelve thousand feet below. I later found out that was the intention when designing the building. It was around noon when we arrived so I just thought there was only so much time here. There were two kinds of tours and the less extensive one was six pounds cheaper. The difference was the more expensive one included a picture and access to a gallery; I’m assuming this gallery was the bonus features of the museum. Oh, well. I still got all the essential benefits. I received a virtual tour of the 882 ft. and 9 inch-long ship from left to right, bottom to top. I rode a replica of the average elevator scaffold and was told the Titanic’s was four times the size of this typical one. Damn, it was high already, to begin with just by looking down. There was a ten-minute ride about the inside of the building/shipyard (another replica) for the Titanic. In glass barriers, there were displays of different class cabins as well as dishes, trinkets, and documents. Later, spectators and I were lead into a theater to see a short documentary; it was a film about the discovery of the remains of the larger-than-life ship after over a hundred years of her disappearance into the abyss. And of course, there was the overall exhibition itself, informing us of Harland & Wolff, the shipping yard and company that built her and many others almost like the Titanic, and just throwing interesting facts about the once major metropolis that was Belfast during the 19th and 20th centuries. 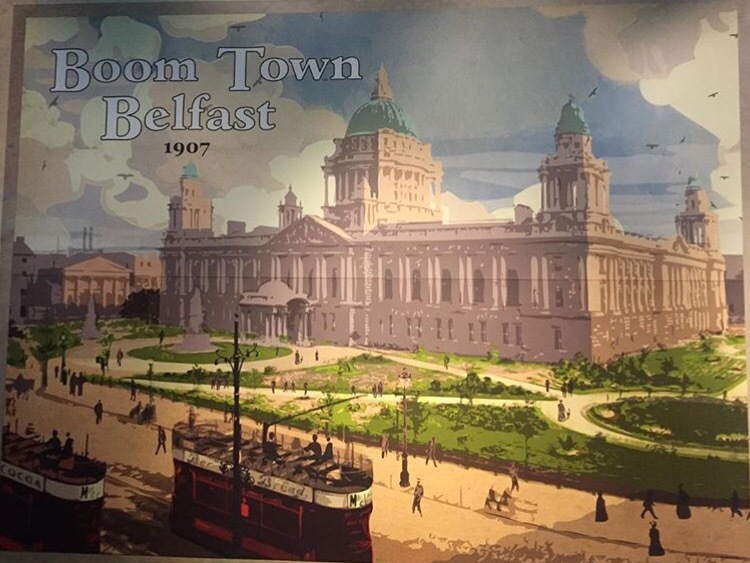 Just a little something for you: Belfast was known as the linen capital of the world and one of the most prestigious cities in all of Europe. Hey, I thought that was fascinating among other things of Northern Ireland and the Republic. Emylee and Moriah drifted off, whether ahead or behind me, but we didn’t care. I wanted to redevelop my appreciation for this museum (it’s been almost ten years since I was last here), knowing how it changed so much, and I know how much they wanted to spend time in this expansive memorial. Emylee had always loved ships, especially the RMS Titanic, and Moriah had a deep fascination for tragedy in history, as do all three of us. After I had a moment to take in all the morbid yet extraordinary things this spectacular museum had to offer, obviously the next step is straight to the gift shop. You can’t not go to the museum yet not go into the Titanic gift shop. Naturally, a pin, postcards, and some friendly conversation with a cute Irish boy at the counter were in order. I even tipped it off with an awesome keychain that looked like a first class ticket for the majestic liner. I messaged the girls that I was in one of the cafes. I bought some tea and did some postcards knowing how much my mother, my uncle, and aunts love everything surrounding the water, boats, and ships. And all surrounding THE Titanic. I have teachers and history enthusiasts in my family; it was my duty to send those momentums to them. 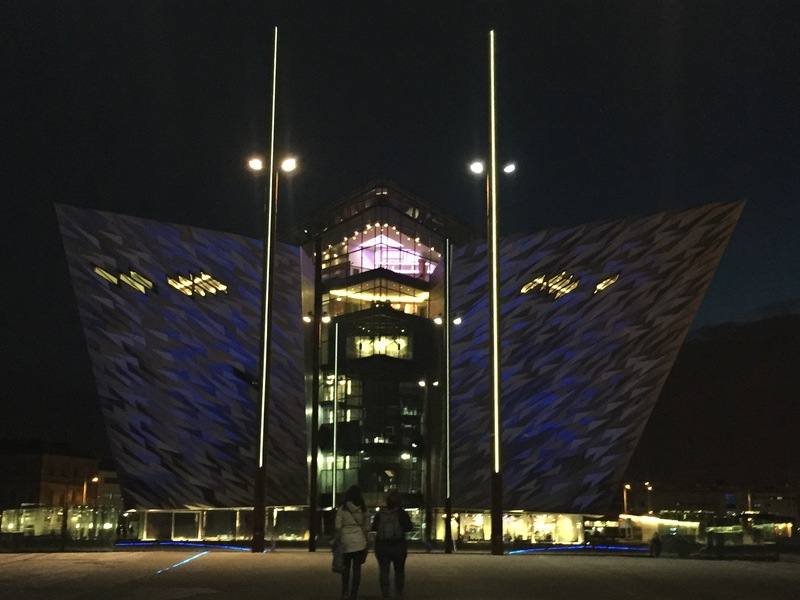 Plus, Emylee noticed a post box right by the humongous bronze-tinted TITANIC sign in front of the entrance; which mailing so much easier and all the sweeter. As predictable as it was essential, dinner and drink came later and then an early night (after watching Without A Paddle on Netflix). Emylee has established she is overly-positive Jerry, Moriah is hypochondriac Dan-O, and I’m Just-Do-It Tom. Perfect comparison for us three. A supremely exciting day is coming. Take this phrase into consideration as to what we’re doing tomorrow. I woke up early enough to hunt down an ATM only there was a maintenance issue (until 6 a.m. Eastern Central time which means no money for another five hours), so I couldn’t get more money until later. I walked back to the hostel to see a black cab parked. I texted Emylee and Moriah guessing that was our ride for the day. It was, and representing Paddy Campbell’s Black Cab Tour was Peter; our very bubbly, happy, and great conversational cabbie driver. He came at 9 a.m. sharp and went over the itinerary; we’d explore a bit around Belfast through a local’s eyes, check out a few spots where Game of Thrones was filmed, see the Dark Hedges, head over to walk on Carrick-a-Rede Bridge, drop us off to have something to eat and finally spend a great deal of time (until dusk) at Giant’s Causeway. Sounds like a lot, huh? And dear God, it was. But irrevocably worthwhile. For ten minutes, Peter wove through town, pointing out little tidbits of several buildings, incidents that occurred on certain streets, and even explained why the Belfast police cars look like S.W.A.T. cars or huge military-armed vehicles (those you see in front of businesses). They were necessary during the riots and fights, not only because of the religious feud but, because of the IRA bombings and breakouts. I was generally familiar with the feud and mayhem but not to this extent; it was horrifying and sad to hear jovial Peter go into gory detail about the events that went on. He took a few turns out of the way (due to the barrier I’ll explain in a bit) to stop at a couple of murals. One of them was in memory of King William III or “King Billy”, the Protestant. Another was for a popular sovereign to Northern Ireland and Scotland as well as a decorated Protestant commander of the Ulster Defense Association named Stephen “Top Gun” McKeag. Top Gun was a Northern Irish loyalist, meaning he was for Northern Ireland to remain with the United Kingdom, and a good shot, hence his nickname, who had died from a drug overdose of painkillers and cocaine in 2000. Although, conspiracy and controversy says one of his rivals, within the UDA, (you can look him up for yourself since it’s public record) had come into McKeag’s house, with armed men behind him. Due to a crossbow bolt punctured in the wall close to where he was found, it’s theorized that McKeag fired a crossbow bolt at the men and then they forced lethal amounts of the drugs down his throat killing him. However, there still isn’t any proof to support this, so it’s declared a suicide. Intense stuff, right? Not going to lie, it freaked me out a little. 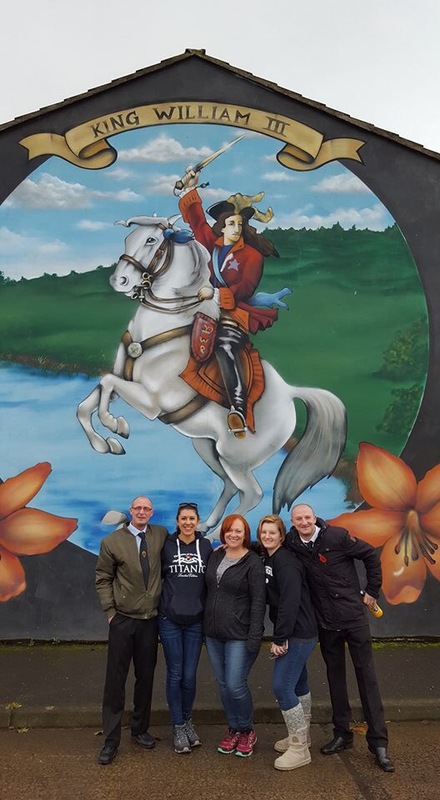 After some more mural sightings and a short parade that passed us, we were taken to the barrier that occupies the separation of Protestants and Catholics. Yes, for the last forty to fifty years this wall still remains as does the segregation. However, let me be clear, there are civilities and proper respect for one another. Also due to university and our (the younger) generation, a lot are friends and dating one another. It’s just how things are here and the majority of those practicing those religions prefer it that way. But on a brighter note, this high barrier was full of graffiti. Peter said it’s encouraged as a way to make a peaceful statement of acceptance and understanding. So we made our marks on this wall. 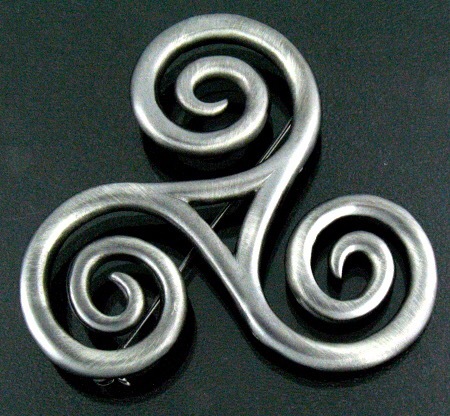 Mine was my name, the date, and the triple spiral, or triskele, Celtic symbol for birth, life, and death. It also references everything, especially regarding the universe and the elements, that comes in threes. Peter then told us it’d take about an hour before arriving at the next spot. So I nodded off a bit after some tea and crisps courtesy to our wonderful tour guide. We were officially on roads cradled by the Dark Hedges themselves. As a side note, this was also another place where Game of Thrones was briefly filmed. Shortly, after some pictures and telepathically telling other tourists to get out of our shots, I spotted one of the hedges had a hole large enough to fit a person in it; a rather short and petite person–a Keebler elf, maybe–but a person nonetheless. So obviously, I stuck myself in the burrow hole to take a selfie. Then I shouted out to Emylee, Moriah, and Peter that I was kinda stuck. They just started laughing and came over to try fitting in it too (after Moriah grabbed my arm to help and get herself up to get a turn at a selfie). Emylee tried too with Peter snapping shots using her camera. After a few more minutes there, we jumped back into the stark black cab to be on our way to Carrick-a-Rede Bridge. Peter insisted on lending us some jackets he carried handily for rainy days like we had today. Though it was mild, we each still took one and thanked him profusely since we didn’t anticipate the hike we had to do to get to the bridge. One thing to consider if you wish to go to Ireland and Scotland: the people in both countries and the republic are crazily friendly, polite, and overall genuinely good. Before heading for the bridge, we ate some lunch next door to the ticket stand. I wanted something warm but light, so I settled for some Calypso coffee and a ham and cheddar sandwich. Just to let you know we didn’t go about this extensive day starving. Now with both of those anecdotes said, I’ll continue. In comparison to the hike to Dun Aonghasa, this one was so much easier yet much more breathtaking (in the sense where we weren’t huffing and puffing while we cursed the treadmill for misleading of how in shape we really were). The whole hike we had the ocean as our view. Like at the Cliffs, the atmosphere was as damp and windy as it was all shades of green, blue, and brown. I had to cut down my digital shots intake to gain more memory on my camera. With the bridge in front of you, for a moment you blanche thinking, “God that’s a big drop.” But once you take the first few steps and hold onto the ropes on each side, you feel accelerated but safe, like on a roller coaster; you want more and more of the adrenaline as you go further and further. I wanted to make another thing clear: this bridge is perfectly safe otherwise it wouldn’t be open to the public period. Also, it had a sturdy steel outlined under my feet and throughout its exterior. 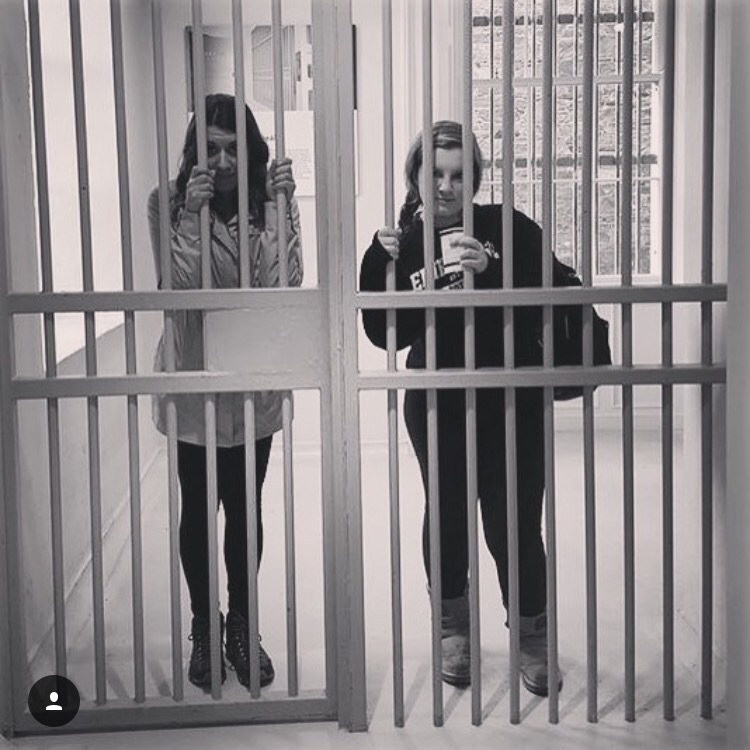 Honestly, I wasn’t as intimidated as I first thought (which is why I wanted to do it because, in theory, it was a crazy and exciting experience I couldn’t miss); when I set foot across it I felt less unsettled versus far away at a glance. Though it wasn’t as adrenaline-seeking like bungee-jumping or going on a 600-foot suspended swing in New Zealand (It’s on my list to do), I still considered it an amazing accomplishment. Even if the guy behind me was shaking the damn bridge trying to get a rise out of people and thinking it was funny. Ugh, jackass. He got into big trouble for that, just to warn anyone who even thinks about doing that in the future. The hike back went by fast. We made a pit stop at the toilets and gift shop, then Peter drove us to see the Danseverick Castle ruins. They’re over 1500 years old and all that was left standing were two decrepit walls. And now for the final and long-anticipated destination, we reached Giant’s Causeway. 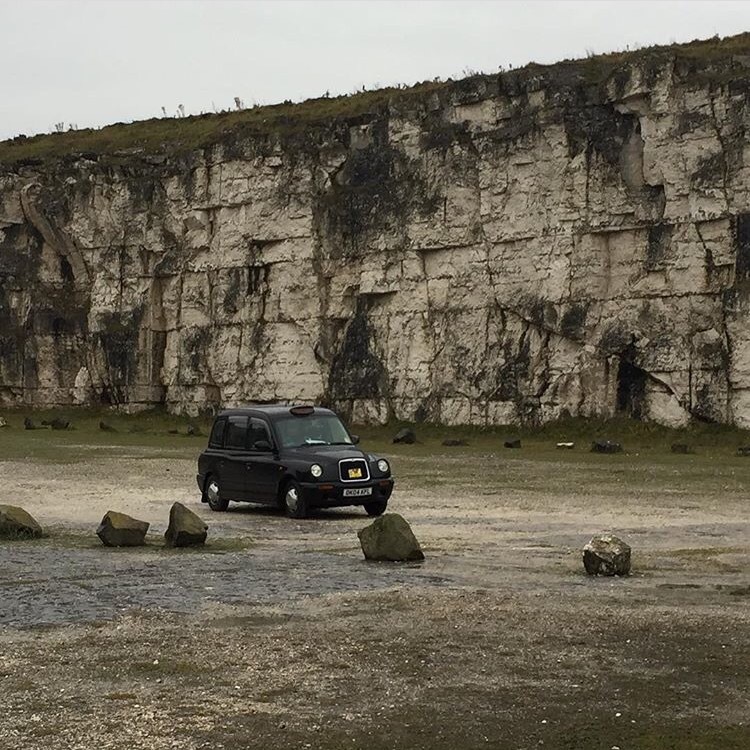 This is an area of around 40,000 interlocking basalt columns that science said became the result of an ancient volcanic eruption. But Peter suggested as we were heading the Causeway, to take the folk legend into consideration as do a lot of the natives; the tale is about a giant named Fionn MacCool who built the causeway across the North Channel in order to meet for a fighting challenge with the Scottish giant Benandonner. According to Peter, when MacCool realized the other giant was much bigger than him, his wife disguised him as a baby and tucked him in a cradle. 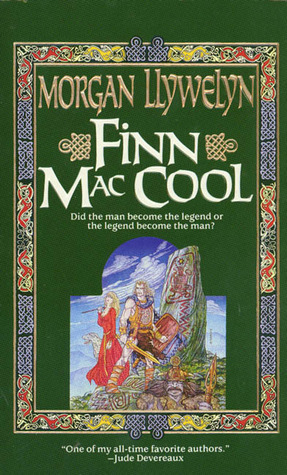 So when Benandonner came to search for MacCool at his home, he saw the “baby” and insinuated that the baby’s father was a giant among giants so he hightailed out of there, destroying the causeway behind him so Fionn couldn’t follow. Awesome. There are two things that people don’t tell you when coming to the Causeway: if you aren’t going into the visitor’s enter you don’t have to pay an admission fee, and, if you don’t feel like making the 15-20 minute walk, you could take a bus to and from the causeway for one pound each ride. And since we were somewhat lazy, we took the ride at the beginning and end of our exploration. Anyway, I wandered off as usual and spent a good hour and a half there, climbing cautiously the many columns of stacked hexagonal stones. A causeway isn’t any different than the shores of a beach; the edges are always wet and can bring powerful waves to clash against the land edges. However, a beach isn’t as slippery or muddy than a causeway, so if you intend to come here, wear solid, rubber boots. Maybe weather-proof ones if you can get them for a good deal. Also don’t get too close to the water’s edge. I don’t mean to where you’d slip and fall into the icy deep–that goes without saying–but to the extent that you could get slapped with the high waves like this one poor guy that got knocked down hard, therefore, soaking him from the shoulder down and his, I assume was, girlfriend having a laughing attack at the sight of him. No worries though, he was completely fine, just a little embarrassed and shocked by the hit. Aside from that misfortune on his part, I saw, hiked, and climbed three major peaks. Instead of shades of green, blue, and brown, it was all fifty shades of gray, navy, white and black. Extraordinary what nature has done and can still do. The sea air spraying my face was just icing on the cake as I watched dusk bring the curtain of Night on the endless ocean before me. But on a somewhat sour note, my phone died from being too cold outside (yes, that’s a thing–it just shuts off when it overheats or it’s freezing). And when I had my fill of the Giant’s Causeway, until the next time, I waited and searched for Moriah and Emylee for about a half hour to no avail. So when the time was cutting close–when I took a picture on my digital camera, it showed the time–I thought to look for them up at the visitor center. Nope. It came to where the center and the bathrooms were closed that I gave up and went to find the black cab. I found the cab and those two in there as well. Apparently, they went looking for me up where I was not too long ago and then decided to wait in the cab if I wasn’t there already. They’d been sitting there for ten minutes. I threw a couple f-bombs at them, wondering where they were and to get some frustration out, and then I was good, they were good, and then off to Lagan, we were. We got huge hugs and goodbyes from Peter, then we paid him and went for a short but sweet dinner. I crashed at the hostel soon after another detour to a convenient store. Since there wasn’t much to tell, I’ll make this post brief. Today was when we take the train back to Dublin. It was a slow, yet easy morning considering departure wasn’t until 2 p.m. We got in around 6:30 and took the opportunity to hop in my bunk to nap while my phone charged. Then Emylee said Brendan wanted to meet up for pints and some food so we went to The Cobblestone for Guinness, Smithwick’s and crisps. About two hours later, Brendan took us to Frank Ryan’s for some ham and cheese sandwiches with more Guinness (which I declined, sticking with water as I already had three huge pints in my system). In Frank Ryan’s we also got to hang out with the pub pooch, a Kerry Blue Terrier, that I can’t for the life of me remember its name. He was so cute and friendly, though; he was Moriah’s buddy almost the entire night. So there ya go–it was just one of those days where there wasn’t much except a couple endearing, yet slightly sloppy moments. Today started out as another lazy day since we had one specific place to check out. So we slept in. I took a shower where managing it was like handling the sink levers where you push down and only so much water comes out, depending on how much you press down. Except I had to do this every two seconds; otherwise, I did everything one-handed. Took FOREVER. Ugh. Anyway, once I was ready, which the other two went to get some final shopping down, I walked around Dublin doing the same myself. Then we met back at the hostel around 3 p.m. since we had to take the Tram (the above-ground subway system) for several stops to get to Kilmainham Gaol. “Gaol” being another word for prison. The tour we paid for was at 4 p.m., so we took the Luas Tram and walked for a good ten minutes almost entirely straight ahead. We got there with another ten minutes to spare, so we waited in the holding cell as suggested by the guy at the front desk. 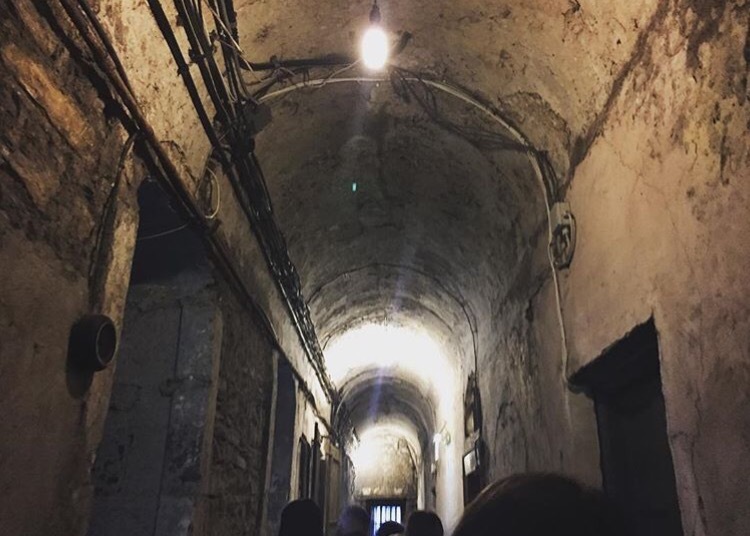 The prison is about 220 years old. Its walls were made of limestone that held moisture, which was why it’s very cool and damp everywhere even, in the countless hallways. It had a west wing as the general body of the prison, until about a hundred years later, and a modernized east wing. 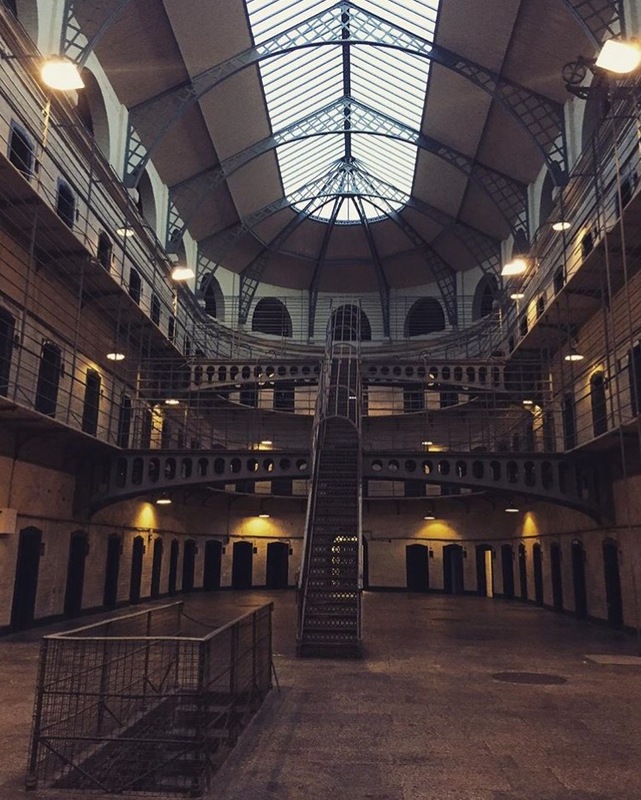 This stone jail was most famously known for two circumstances: the first was in 1850 where its largest of its population with 9000 prisoners with 100 cells–some had stood in these very halls I passed through–and the second was this being the place where the leaders, who started the fight for Irish independence with their declaration document in 1916, were executed. The first circumstance had these statistics almost completely because it was a tough time in Dublin where people were either homeless, starving or both. It was common knowledge that you were fed and the prison was the roof over your head; so if you suffered from any of those predicaments, you went to crime to get shelter and rations. Simple enough, from what the tour guide explained. 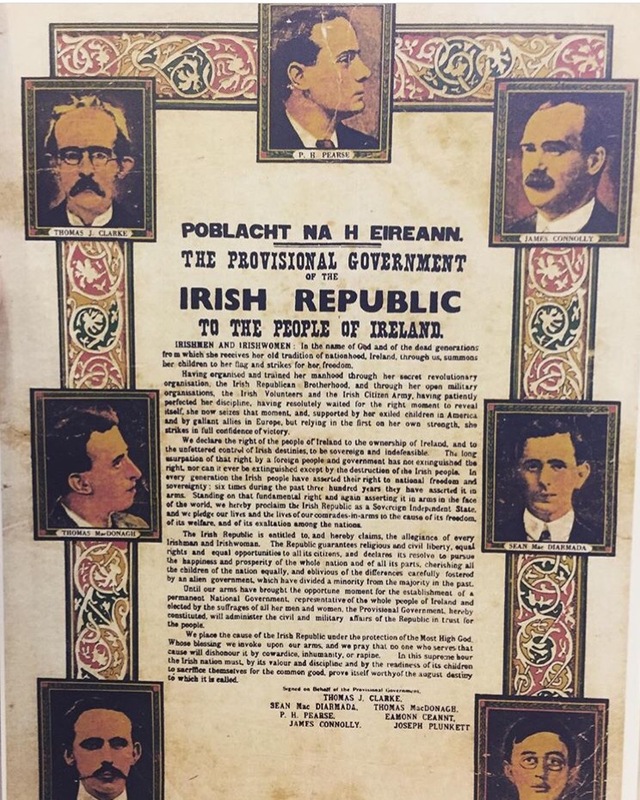 The second was one of few events that brought the uprising for a free republic of Ireland. Seven, of the fourteen, prosecuted and shortly executed, were the ones who wrote the proclamation of the declaration of the Republic. From this list, one Irish nationalist, Joseph Plunkett, had a final request: 24 hours before his execution, he wanted to be married to his sweetheart, Grace Gifford, in the prison chapel. In the morning, they were given ten minutes with each other before he was taken away. One other from this list, the last to be executed, James Connolly, had the most controversial of executions. Before these men above were arrested, the uprising caused several men to be injured including Connolly, and they were taken to the hospital. Connolly was so badly injured from the fighting, he couldn’t stand for his prosecution and execution. With these circumstances, it was a tough call of how to proceed since a doctor declared his injuries fatal. The choices were to either let him die in his hospital bed naturally or execute (shoot him dead) him. It was decided to not treat him any differently since he was claimed a traitor. Like the others, he was shot repeatedly till death, however, they had to bring him to the courtyard of the prison on a stretcher then attach him to a chair to hold himself up. Tragic and grotesque. Less than eight years later, the huge stone castle-like prison closed down in 1924. Yes, it was a pretty intense, even somewhat emotional, tour. But I recommend you go check it out. I paid 3.50 euro for it, but make sure to book a little in advance. Oh, and they have an amazing exhibition, once you finished the tour, and gift shop. Then met up outside the gaol and headed back the way we came to get some early dinner (though it’s incredibly dark by the end of the exhibition). Today was the final day of the three-week voyage, that started in Ireland and, ends in the Emerald Isle herself. 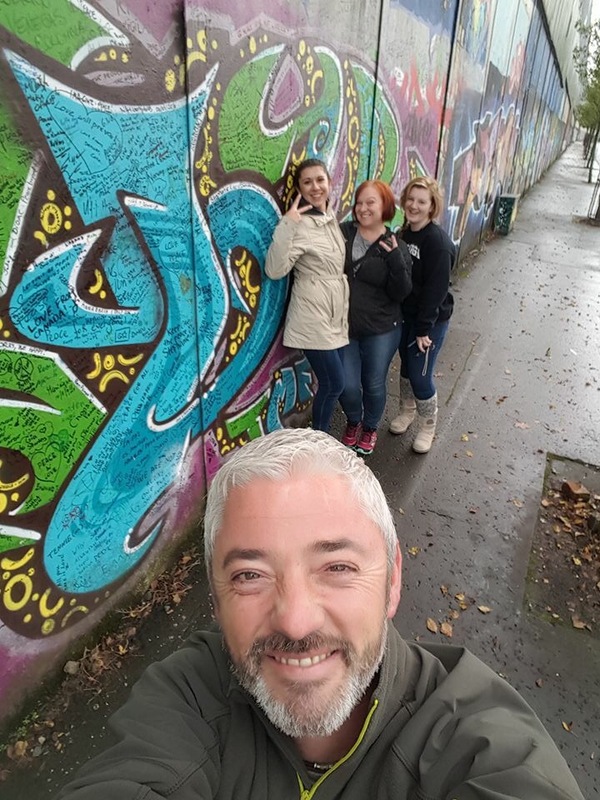 We also started in the city of Dublin and decided to end with a couple days here too; that way we’d be able to have one last opportunity exploring a couple other spots and extra browsing. After some lunch, since we took some recovery time this morning (again) sleeping in, we headed to Christ Church Cathedral, since Moriah still needed a rosary, or something relevant to that, and I wanted to see the exhibition, Dublinia. It’s adjacent, and linked, to the cathedral and cost 7.50 euro with a student discount. I took the chance to see it and the others went on the hunt for some more shopping. We agreed to meet at the Chester Beatty Library around 2 p.m.; so that gave me two hours for Viking mayhem. Three floors of visual displays as well as weaponry and Christian relics presented all over. There was also an interactive food market nook where you could try on chain mail and peruse the apothecary’s spices and herbs. Although it was fascinating and full of the history I see, I’d say that this be more for those twelve and under. But I’d say also climbing three flights of stairs, to check out the view of Michael’s Tower, was definitely worth the effort. After catching a glimpse of the city from all four perspectives of the tower, I went back to down to earth and practically skipped to Chester Beatty Library. It was a bit confusing looking my map regarding the library on the other side of the stone entrance to Dublin Castle. Once I figured it out, I saw the modernized entrance of Chester Beatty and then turned around. The angles of my standing position made quality la ndscape shots of the castle with my phone. The sun scaled over to the right, focusing on the two battlements within my line of vision. The shadows and shade of the trees aligned perfectly with the pathway to a short balcony (where you’d get a widespread visual of the courtyard. After taking a couple of moments to appreciate the lawn designs, I went into Chester Beatty Library. First, it’s free admission considering it’s not only a library but a beautiful museum. Second, before you go up the stairs to the second and third floor (exhibition and gallery), you’ll need to request a token to use a locker since you can’t have any bags or cameras while viewing. Didn’t have enough time (on my timetable) to see the roof garden. a sub-floor was entirely dedicated to Hinduism, Buddha, the Dharma, Confucianism, Daoism, and some more of Islam along with Christian and Hebrew icons and printing–EXTRAORDINARY. There were some text fragments of Manichaeism and early Christian biblical papyri in Greek and Hebrew. 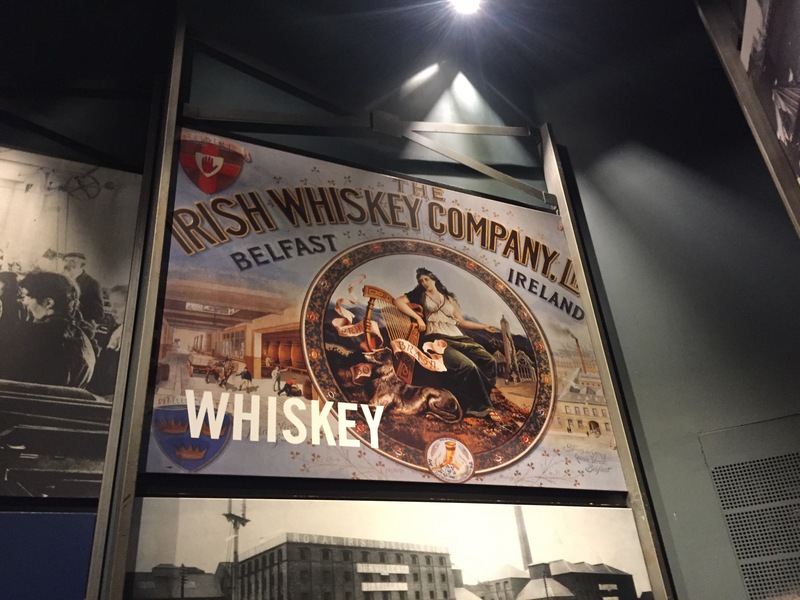 Though I only have so many words to tell you what I saw, I decided this was one of the places, like the Dublinia exhibition, where you need to see it for yourself; I can’t tell you my experience because it wouldn’t see it in the same way I had today. This place was more than ancient paper and aged leather in painted gold. The man, who had cultivated and gathered this expansive collection, Alfred Chester Beatty, was someone of eclectic taste and appreciation. He also emphasized his interests in the Arabic and Ottoman Turkish languages through his collection. A good chunk of his purchased antique works was Arabic–where the language is read from right to left (Persian and Ottoman Turkish use the same alphabet but with additional letters)–and of course this is used in the Qur’an. Chester Beatty was also a papyrus collector; this was spread out in relics and pages from all works including the Gospel of John, the Hebrew Bible, or the Tanakh, and of course the Qur’an. He wanted to use his collection to emphasize print techniques particularly woodcut, engraving, etching, lithography, and chromolithography; basically the transformation and evolution of printing and writing. So you can imagine how excited we were to see this library. A mining engineer by profession and livelihood, Beatty was more honored by being Ireland’s first honorary citizen (among other countries in Europe) for his cultural and historical contribution with his antique literary collaboration. Decades of searching, auctioning, and cataloging, that only one word–by word-of-mouth unknown–described the Chester Beatty Collection comparing one book, a c.1480 copy of Cicero, on display: Quality! On the third floor, the gallery presented Hong Ling and his large-scale landscapes painted with what I could see as chaotic, impressionist-like beauty. I especially adored his June 2013, oil on canvas, Delicate Wonder. There was a mini-collection shown alongside Ling’s work; I loved the 1991 oil on canvas Cold Snow from the collection of Soka Art! I realized we were there for almost two hours, so I made one last trip to the gift shop and then went into the cafe for some tea and biscuits. I wasn’t feeling well in spite of that wondrous collaboration of ancient and modern. So Emylee and Moriah went to meet Brendan one last time as I soon headed back to the hostel (mostly walked in rain) to sleep off some of the lethargy and heat off the chills. It ended with an easy night considering how much traveling would entail for tomorrow. And I give a voyager’s farewell…until next time! ← Apps: Prepping for all that walking!